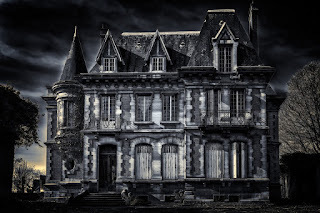 I'm pleased to present Crumbling Manor's first author interview with horror writer, Sonora Taylor. Sonora's newest short story, Hearts are Just Likes appears in the Quote the Raven Anthology. She is the author of several short story collections, one novel, and another one in the works. So let's get started. Hi Sonora, first off, congratulations on your most recent publication of your short story, “Hearts are Just ‘Likes,’” in the Quoth the Raven Anthology. 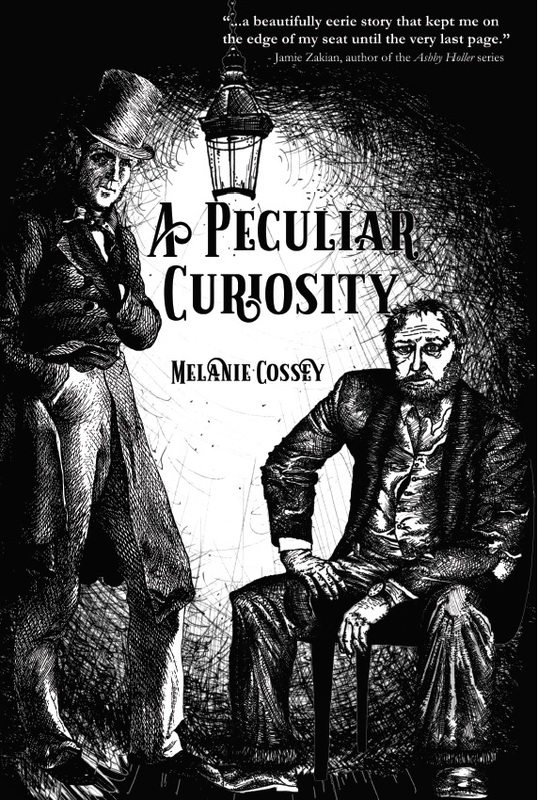 What motivated you to submit your modern-day twist on a Poe Tale? I saw the call for submission in a horror group on Facebook. I thought the theme was a great idea. Poe’s stories stand the test of time, but there is also room to adapt his stories for the modern age. I was between projects when I read the call for submission, and brainstormed some ideas. I thought of my favorite stories, and thought of “The Tell-Tale Heart.” Remembering “heart” made me think of the hearts you see on Twitter and Instagram to signify that you “like” their post. The wheels kept turning, and I decided that “The Tell-Tale Heart,” a masterpiece in paranoia and the fear of being seen, would be perfect for an update in the context of social media. You have published two short story collections, The Crow's Gift and Other Tales and Wither and Other Stories. What is it about the short story format that attracts you? A lot of the story ideas I get are instances or single events, as opposed to long-form ideas. Most of my ideas begin as short stories and turn into novels if I realize there's more to tell than just the initial instance or event. Many more of them, though, remain short stories from conception to birth. I gravitate, though, towards longer short stories. While I've recently dipped my toe into flash fiction, I prefer having room for a few thousand words at least to tell a story. My sweet spot is between 4,000 and 6,000 words. I believe a story should be as long as it's supposed to be. Forcing an idea into a novel has never been a good experience for me. I prefer to just write and see how many words I need to tell the story (and, subsequently, how many words my beta readers and editor think it needs). I hope that more writers wondering if they have enough of an idea to write a novel will consider whether their piece could be a short story. With short stories, novelettes, and novellas all acceptable forms -- and all of which can be published as standalones as ebooks -- there is a lot of freedom for how long a published story can be. Do you have a particular theme, character, or setting you find yourself revisiting? A lot of my stories take place in, or near, the woods. Sometimes the woods are the source of the terror, and other times, the characters just happen to live near a forest. I’ve long been attracted to forests. I love trees, love the shade, and love all of the animals and plants you see there. The forest is probably my favorite natural setting, so I’m not surprised it shows up a lot in my writing. I also grew up in neighborhoods with lots of trees, or which were on the outside of dense woods and forests. I still remember, when living in Chapel Hill, waking up each morning of deer season to the sound of gunshots echoing in the distance. I also lived near Balls Bluff National Park for ten years, close enough to regularly walk my dog there or hike there with my family. The park is filled with hiking paths, a pond, mulberry bushes, the banks of the Potomac River, and Civil War graveyards. It’d be difficult not to find literary inspiration there. You have a new novel in the works, “Without Condition,” due out in February of 2019. What is the premise of the story and where did you take your inspiration from? The story follows a 22-year-old woman named Cara. She lives with her mother and works for an up-and-coming brewery in rural North Carolina. At night, she likes to go for drives – and often on those drives, she’ll pick up someone and kill them. Afterward, she brings home a souvenir, which her mother keeps on a corkboard with her accomplishments. Her life follows this routine, but the routine is disrupted when she meets and falls in love with a man named Jackson. The novel explores a serial killer navigating through her first relationship, and what this means for her side gig. It’s equal parts romance, dark comedy, and family drama. I was actually inspired by the band Ghost – specifically, an article which revealed the identity of the mysterious lead singer, Cardinal Copia/Papa Emeritus (née Tobias Forge). Forge said in the article that he decided to go public with his identity because his mother wouldn’t stop bragging about him to her friends and neighbors in Sweden. On stage, Forge dresses as a Satanic pope and sings about the devil, the occult, and other dark things you’d expect from a metal band. I couldn’t stop laughing at the thought of this guy’s sweet mother walking around her neighborhood beaming and saying, “That’s my son!” From there, I wondered what it’d be like if a mom did that for a son who was actually doing bad things. My mind went to a serial killer, and then to shake things up, I made the serial killer a woman. This initial idea started as a short story, but once I came up with Jackson, it expanded into a novel. What early experience in your life sparked your interest in the horror genre? A shared interest with my parents. My parents both like horror and the macabre. They taught me everything I know about decorating for Halloween, and introduced me to eerie movies like Edward Scissorhands at an early age. We went and saw The Nightmare Before Christmas in theaters together, and “Santa” gave me a Creepy Crawlie oven when I was six. My mom also introduced me to my first Stephen King novel, Salem’s Lot. We still recommend books and movies to each other – they’re always recommending Penny Dreadful – and they also read my work. Who are some of your favorite horror writers or influences? It’s probably expected that I’d answer with Stephen King, but there’s a reason for that – he’s that good. My favorite work of his is one of his short stories, “The Man Who Loved Flowers.” It influenced my love of taking something innocent and giving it a macabre twist. While she isn’t categorized as horror, I am also influenced by Gillian Flynn. I really liked Sharp Objects. I like how her work explores the darkness in the seeming mundane of women’s lives. I also love anthology horror shows like The Twilight Zone and Tales from the Crypt. 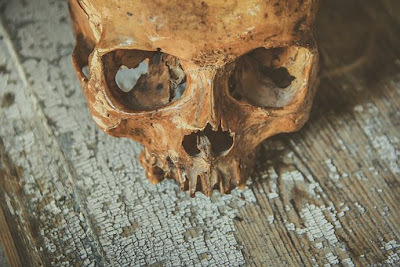 Contained horror narratives inspire my short stories – my work has been compared to both shows – and I find they’re very effective for scares and chills. What kind of reader are you? Slow? Fast? One book at a time or multiple? Your favorite place to read? What sort of books do you choose when you want an escape? I am a fast and voracious reader. I read one book at a time, but I can usually read a book a week depending on the length. My favorite place to read is on the Metro on my way to work (which is also where I wrote a lot of my first novel). I have a Kindle now, which serves my fast reading habits well – when I finish one book, I can immediately start another. When I want an escape, I like “middle-aged woman starts over again” memoirs. They’re super cheesy, but especially when I’ve been reading a lot of horror or serious literary fiction, they’re a fluffy escape that get my travel wheels spinning. I especially love stories where the woman in question escapes to Europe. It makes me want to hop on a plane and go drink wine in an old bistro. Describe your writing space. Do you have any mascots or muses that keep watch? My writing space is our guest room, which was my room when I shared my apartment with a roommate (I now live with my husband, which gives us an extra room -- not easy to come by cheaply in this area, so we’re very lucky!). I still have my dresser and clothes in this room (we have small closets), so it’s still sort of “my” space. It doesn’t have a lot of decorations on the walls, and when the door is shut, the wi-fi signal is next to none. I think this lack of distraction is the muse that keeps watch. It forces me to either sit and write, or leave this calm space. Finally, Sonora, what scares you? Large crowds in small spaces. I’m claustrophobic. When I’m in a people crunch, I have to take deep breaths and just move forward. Similarly, I’m afraid of the feeling of being bound or trapped. I almost panicked just watching the preview for Buried, that movie where Ryan Reynolds is buried alive. NOPE. 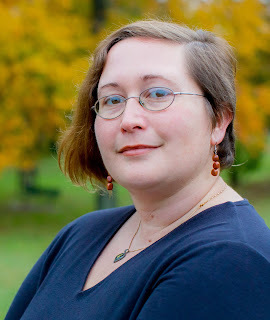 Sonora Taylor is the author of The Crow’s Gift and Other Tales, Please Give, and Wither and Other Stories. 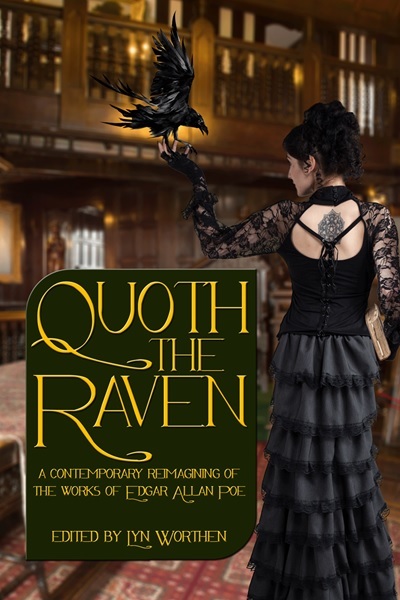 Her short story, “Hearts are Just ‘Likes,'” was published in Camden Park Press’s Quoth the Raven, an anthology of stories and poems that put a contemporary twist on the works of Edgar Allan Poe. Her work has also been published in The Sirens Call, a bi-monthly horror ezine. Her second novel, Without Condition, will be released on February 12, 2019. She lives in Arlington, Virginia, with her husband. Thank you, Sonora for dropping in and we recommend our readers check out your books! Crumbling Manor is a participant in the Amazon Services LLC Associates Program, an affiliate advertising program designed to provide a means for sites to earn advertising fees by advertising and linking to Amazon.com. There may also be other affiliate links within my site, which means when you click on one of my links, I may receive compensation. I do not ever recommend anything I haven’t personally tried and enjoyed or found effective.